When you require style and security - then Autogate has the solution. We design, manufacture and install all types of electrically operated gates, automated entry gates, gated development access, secure entry systems, car park barrier systems and access control. Based in Hampshire we are ideally located to provide professional gate installation across areas including Hampshire, West Sussex, Berkshire, Surrey and the London area. Providing quality products and competitive prices, we come highly recommended by previous clients. We are able to work with you on creating and designing automated entrance systems on new build properties, or can supply and install remote controlled driveway or gateway access to existing properties. 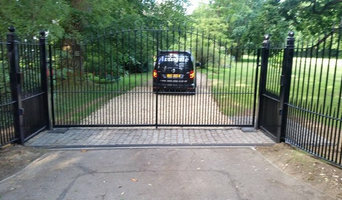 Where compatible we can fit an automated system to your existing manually operated gates. We can advise on the suitability of this with a free site survey. Safe, reliable automated gate systems from Autogate At Autogate all our work complies with health and safety standards, and the safe, reliable operation of your gates is of paramount importance to us. All automatic gate systems installed by Autogate have a manual over-ride built in. In addition an emergency battery backup can be incorporated in the event of power failure (24v systems only). We can also advise on a number of additional safety features and system back-ups to guarantee the safe, effective and long lasting use of your automatic gates. Photocells – create an infrared beam across the gate opening, ensuring that the gates cannot accidentally close onto a vehicle or obstruction. Lighting systems. Ask your Autogate technician about a wide range of lighting systems that can be installed not just to improve the safety of your automatic gateway, but can enhance security and the general appearance of your property. This could be general outdoor lights, daylight sensitive or motion detection lighting. Repairs and maintenance contracts from Autogate At Autogate we have always believed that the back-up and after sales service we provide is as important as our installation service. Maintenance contracts are offered on all gate installations conducted by Autogate. 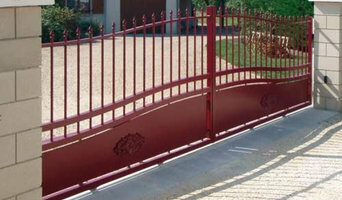 These are tailored to the type of gate fitted, its usage and the environmental location. Driveway gates, modern or classic designs manufactured for the 21st Century to be strong but light and easily maintained prolonging the life span of both gate and automation systems. A complete service from survey to installation by Hampshire’s driveway gate specialist Crocodilla. When it comes to installing our domestic and commercial fencing and gates, Knight Fencing is committed to ensuring that every job is carried out to the highest standard for an affordable price. The Knight Fencing installation team is expertly trained to deliver the high level of workmanship and customer service that we pride ourselves on. Proper preparation is part of our fencing and gates installation service. That’s why we like to send one of our experts to carry out a site survey. This way, we’ll know if we need to take any special or unusual conditions, such as dangerous or uneven ground, into account. By taking this step, we can prevent any delays and protect against problems in the future. This attention to detail helps ensure that customers always benefit fully from our high-quality, value-for-money products and services. 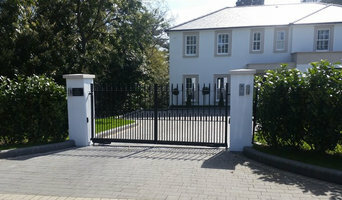 We specialise in quality manual and automated wrought iron, timber, Barriers and bollards.We offer Residential ,Commercial and Industrial Gate Solutions We have a wealth of experience enabling us to provide the most suitable installation to meet our customer’s requirements and expectations, to suit your property and surroundings We only use the market leading brands of control equipment and access control systems. We offer a complete service from design installation and after care service. Each of our automated gate solutions is individually tailored to your unique requirements. The same applies to gates, which are even harder to build and install yourself, unless you are a practised carpenter, craftsman or builder. So if you want one-of-a-kind fence and gate designs that can be fitted by professionals, or perhaps just fence repair, then you should take a look at the Portsmouth, Hampshire gate manufacturers and fencing contractors listed on Houzz. With Houzz you can browse through gate manufacturers and fencing contractors in Portsmouth, Hampshire to find a professional to work on your project. Check reviews, recommendations, ratings and photos of their previous work to decide if you want to contact them about your fence or gate. Gate and fencing contractors in Portsmouth, Hampshire will be able to advise you on the best materials to use and how to look after your fencing. Aside from designing, building and installing your fence or gate, a specialist may also offer fencing supplies, materials and fence repair services which will help you maintain your bespoke fencing and gate designs. 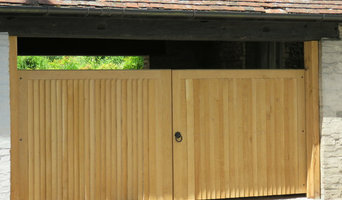 Whether you are looking to build a traditional wood panel fence, commission an elaborate wrought iron gate, want a quaint white picket fence or a large, electric gate to shield your home from public view, you’ll be able to find Portsmouth, Hampshire gate or fencing contractors on Houzz that have the specialist expertise to carry out the job. You may find that gate and fencing contractors also work closely with lawn and landscape professionals. Here are some related professionals and vendors to complement the work of fencing & gates: Wrought Iron Workers, Decks, Patios, Sheds & Summerhouses, Cladding & Exterior Contractors, Landscape Contractors, Landscape Architects & Garden Designers. If you already have some garden fencing ideas or even gate designs, then discuss these with your potential fencing contractors to see if they can become a reality. 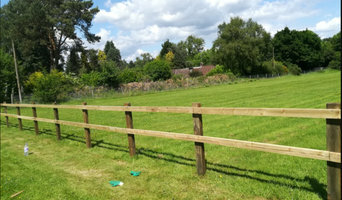 You may find they have to be tweaked slightly, perhaps due to budget, space or Portsmouth planning restrictions, but good fencing contractors will be able to come up with a compromise to meet every need or constraint. Find gate and fencing contractors on Houzz. Narrow your search in the Professionals section of the website to Portsmouth, Hampshire gate and fencing contractors. You can also look through Portsmouth, Hampshire photos to find examples of fencing and gates that you like, then contact the contractor who worked on them.